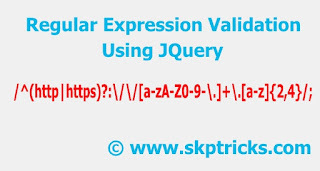 In another word Regular expressions are used to perform pattern-matching and "search-and-replace" functions on text. We have created few function which covers different type of validation in HTML Form. These Function return true and false during the function call. This function used to validate website URL. This function used to check valid email address. 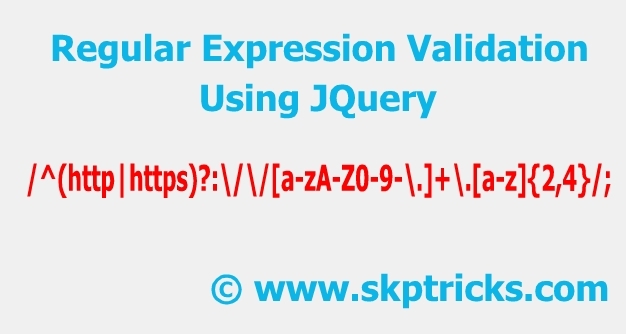 Regular Expression to validate user password with minimal validation. This another example for user password validation, here we are validating user password which complied below format. This function used to validate mobile number of user. It will accept only10 digit mobile number.